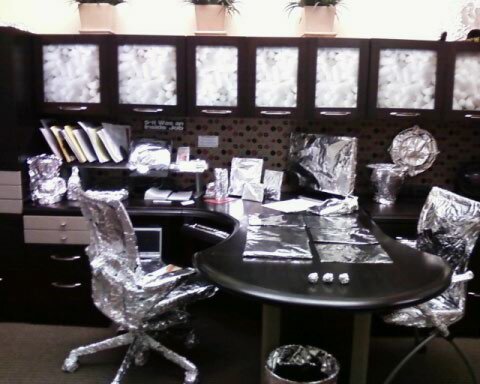 Office Scapes Memphis » Foiled Again! Creating a good working environment starts with the furniture but we try to bring a little fun. See what happens when the boss is away….